Follow Traffic Rules yourself. Also Check at least one person per day whom you notice violating Traffic Rules. l Plant one tree in this Year and take care of it . l Vow to not bribe. If you have to do it , Confess this to Confession Box. l Vow not to accept any Plastic Bag from any shop. Carry your own Bag from home when you go out for shopping . Also pass this message to at least one person per day. l Do not litter the roads / common areas yourself. Demonstrate by personal example. Check one person per day. l Take one picture of just one traffic violation any where and post it on Police Face Book . l Start teaching one person who is lesser than you in education . Give time as per your convenience. 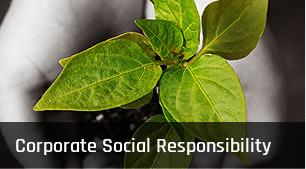 l Participate in social awareness programmes and drives. l Strengthen and support Secular Fabric of our Country. Resist the voices of dissent. We have a Sarva Dharma Sthal in our Office. l Discard Tobacco Products and Liquor. Try to reform others. l Take a Vow that if you see a case of Accident on road side , you will stop by and extend help in getting Police and evacuation of casulaty. l If you notice a Pot Hole or an obstruction on road while driving , you apply sudden brakes and feel blessed that you are saved. Do not just walk away because some one else whose reflexes do not work in time will become victim of this Pot Hole after you move away. Swing into action to remove this obstruction. l If you see any thing going wrong – do not just pass by. Take the action that you can. l Pick up one social / environmental topic that interests you. Play an active role by participating in its awareness . l Dig a Compost Pit around your house and burry all the bio-degradable waste in it. l Raise your voice against any wrong that you notice. May be pollution related ( post pic of polluting chimney of a factory on web site ) / hygiene related ( drawing attention of Health Deptt to a overflowing drain some where ) / environment related ( reporting about the litter on the road , choked drains ) etc. Our Team members share their MSR related experiences during the Monthly Review Meetings. Such discussions bring out new learnings and ideas for further enhancing our role as good citizens .